Children ages 6-12 are invited to spend their winter break school days off at the Lake County YMCA branches where they can enjoy time with friends, swim and discover something new. Lake County Central Y in Painesville is hosting School Days Off activities on December 21-22, December 26-29 and January 2-5. Various activities and short trips to Fun-n-Stuff, Splash Lagoon, Atlas Cinemas, snow tubing at Brandywine and Chuck E. Cheese are planned. For information on dates of a specific activity planned during Winter Break school days off, contact Elisa Hennies at 440-352-3303. Additional activities are planned at Scores Bowling on Jan 15. 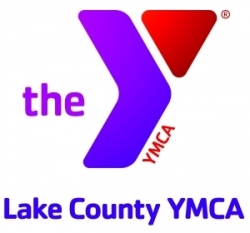 Lake County West End Y in Willoughby is hosting School Days Off activities on December 21-22, December 26-29 and January 2. Various activities and short trips to Sky Zone, skating and laser tag, Splash Lagoon, and bowling are planned. For information on dates of a specific activity planned during Winter Break school days off, contact Erin Litwiler at 440-946-1160. Lake County East End Y in Madison is hosting School Days Off activities on December 21-22, Dec 26-29 and January 2. Planned activities include field trips, sports, games, swimming and more. For information on dates of a specific activity planned during Winter Break school days off, contact Daytona Boyer at 440-428-5125. School Days Off are open to everyone, from 9 a.m. to 4 p.m. with extended care from 7-9 a.m. and 4-6 p.m. Registration rates very by YMCA branch and additional discounts are available for multiple children enrolled at West End Y. For registration, contact the Lake County YMCA at 440-354-5656 or visit www.lakecountyymca.org.